A few days ago, I compiled a list of 100 Black Arts era poems that were widely circulated or discussed. The list was hardly comprehensive, but I did notice that there was a relatively small number of women poets. One reason, among others, that that stood out to me was because of how much more known black women poets have become over the last 20 years or so. Despite the decline of the black arts era during the mid to late 1970s, poets who emerged during that time such as Jayne Cortez, Sonia Sanchez, and especially Nikki Giovanni have remained popular. Giovanni's association with a major publisher has ensured that her works remain in print. In addition, her dynamic presentation style make her a much sought-after speaker on college campus and public events. Sanchez and Cortez have also developed and maintained followings for their work and performances over the decades. Maya Angelou initially gained literary prominence for her moving autobiography I Know Why The Caged Bird Sings, and she then became popular as a poet. She received extraordinary attention in 1993 when she was selected to read her poem at the inauguration of Bill Clinton. Before that time, her poems "Still I Rise" and "Phenomenal Woman" were widely known and cited among large numbers of grassroots folks across the country. Angelou's friendship with Oprah Winfrey has also be crucial to her increased popularity over the years. Lucille Clifton (1936-2010) published her earliest works during the black arts era, and during the decades since that time, she became more and more widely known and valued as a poet. 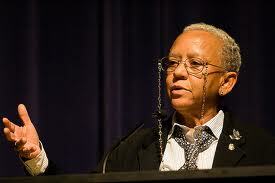 She published several volumes of poetry and received the prestigious Ruth Lilly Poetry Prize in 2007. 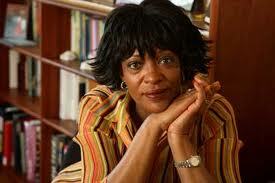 Rita Dove first gained wide recognition during the 1980s. In 1987, she won the Pulitzer Prize for Poetry, and in 1993, she was selected as the Poet Laureate of the United States. Elizabeth Alexander's volume The Venus Hottentot (1990) served as an important catalyst to her growing esteem over the years, which included her authorship of a number of volumes of poetry. Like Angelou, she gained even more attention when she served as an Inaugural Poet; for Alexander, this meant reading at Barack Obama's inauguration. Harryette Mullen published one of her earliest works Tree Tall Woman in 1981, but she began receiving increased attention for her more contemporary works over the last two decades. 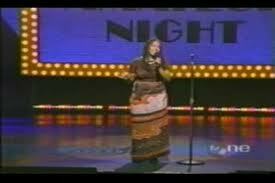 Marilyn Nelson also distinguished herself as a leading poet over the years. Among other achievements, she has written a number of volumes directed at children and teenagers. During the 1990s, spoken word poetry began to become more popular, and a young poet from Detroit named Jessica Care Moore helped bring the art form to the fore when she won multiple times on Showtime at the Apollo for her powerful reading of her poem "Black Statue of Liberty" during the mid-1990s. Moore has gone on to become a popular and highly regarded poet. Speaking of spoken word, Patricia Smith also became widely known for her performances during the 1990s for her powerful modes of delivery. In recent years, her volumes of poetry have received notable attention and won important awards. Allison Joseph began publishing her works during the 1990s, and over the years, she became a prolific and established poet. Natasha Trethewey had been earning awards and admiration since the late 1990s and through the early years of the 21st century. However, her most prestigious honor came in 2007 when she was received the Pulitzer Prize for Poetry for her volume Native Guard. Alexander, Angelou, Clifton, Cortez, Dove, Giovanni, Joseph, Moore, Mullen, Nelson, Sanchez, Smith, and Trethewey have been important figures on the landscape of American and African American poetry over the last two decades. These writers are hardly the only outstanding black women poets to gain widespread recognition over the years; there are many more, including Nikky Finney, Thylias Moss, Tracie Morris, and Tracy K. Smith. Then too, there are others on the rise that we have been recently paying attention to such as Tara Betts, Treasure Redmond, Evie Shockley, and Rachel Eliza Griffiths. There are others I'm sure. Just as we can identify these accomplished poets, we might also consider barriers that poets, and especially black women poets, have faced over the years. With a changing landscape, it's likely that new challenges have emerged. Still, for now, it's exciting to consider the rising visibility of black women poets and what their work and achievements have meant for poetry over the last few decades.